The area in which you can make the best contribution in the NOVOMATIC Group depends entirely on your skills, ambitions and level of education. We offer both apprenticeships and attractive jobs for students, graduates, and people with work experience. Given that we not only produce our gaming equipment but also develop it, our international R&D is divided into several areas. The Game Design department creates new games in terms of graphics, function and sound. The Hardware and Software Development department works to ensure the interplay of individual elements in the gaming machine, as well as the exterior and accessories. Another area ensures the gaming systems are made ready for market and that they meet requirements of the different markets. Our IT department is responsible for supplying over 1,600 users at more than 600 connected national and international locations with IT equipment (hardware and software). Special attention is paid to the company network and IT security, as well as the operational management of business applications and data centers. Here we are always looking for bright sparks that add value to the team and relish tackling exciting and challenging tasks every day. Typical jobs in this area include software developers, analysts, project managers, etc. 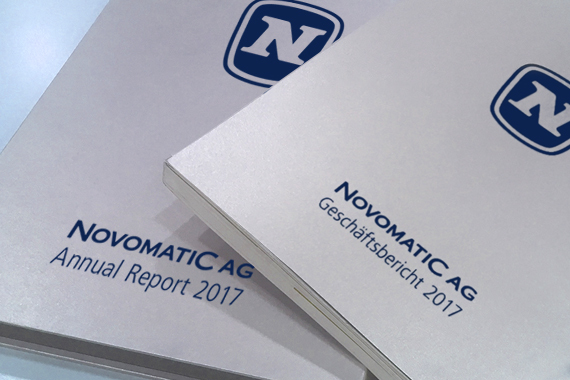 The production network of the NOVOMATIC Group comprises locations in ten countries (including the head office in Gumpoldskirchen), where gaming machines and equipment are produced. Here there are jobs in logistics and the building of housing, through to installing software, final testing, and quality assurance. In-house circuit board and wiring harness production, as well as a joinery and metalwork shop help to ensure that almost the entire range of accessories for our products and casino installations are on hand all the time. There is a range of national and international job opportunities in the field of administration for experts, graduates, trainees, and even apprentices. Areas of responsibility include Human Resources, Controlling and Finance, Purchasing, Compliance, Legal Affairs, Corporate Social Responsibility, etc. Dedication and interest in the job and industry are prerequisites regardless of the area. The NOVOMATIC Group is present in Austria and around the world with numerous casinos and electronic casinos. The business is based on high-quality entertainment, customer orientation, and a modern range of gaming and sports betting offers. We set trends by utilizing cutting-edge technologies both in the entertainment segment as well as in the protection of gamers and information security. Would you like to start a practical training course that offers you the best opportunities for your future? Regardless of whether you are looking for a technical or commercial apprenticeship, we offer you sound training that provides the optimum combination of theoretical knowledge and practical expertise. You have just finished your studies, gained experience through internships and are now ready to start your career. Direct entry into a specialist department and participation in an international trainee program are possible with us. You can use the knowledge acquired during your studies, and further develop your competencies and skills in a dynamic environment on a continuous basis. Would you like to further develop yourself, both professionally and personally? If you are particularly well versed in your area of expertise, you like to help design and work together in a team, you have come to the right place. We value your (many years of) experience. Are you in the middle of training and looking to gain relevant on-the-job experience during your traineeship? You can put your theoretically acquired knowledge into practice with us. This is possible in occupational internships lasting several months, or during a four-week summer internship. We are a multifaceted company with diverse career opportunities. Get to know us as an employer.